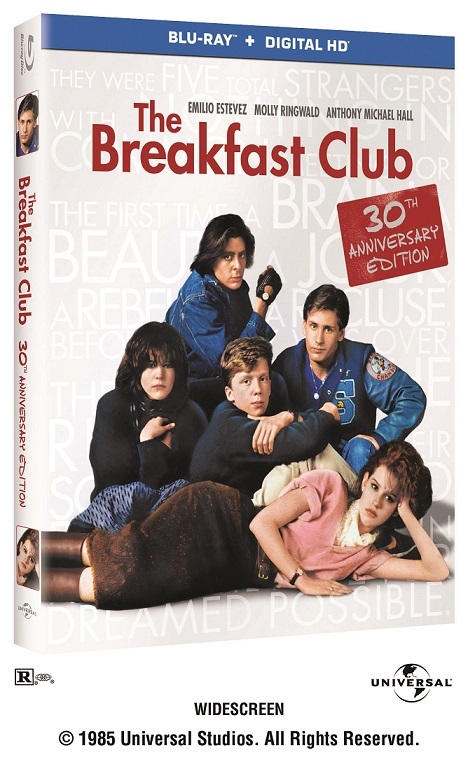 Synopsis: From writer/director John Hughes (Sixteen Candles, Weird Science), The Breakfast Club is an iconic portrait of 1980s American high school life. When Saturday detention started, they were simply the Jock, the Princess, the Brain, the Criminal and the Basket Case, but by that afternoon they had become closer than any of them could have imagined. Featuring an all-star ’80s cast including Emilio Estevez, Anthony Michael Hall, Judd Nelson, Molly Ringwald, and Ally Sheedy, this warm-hearted coming-of-age comedy helped define an entire generation!